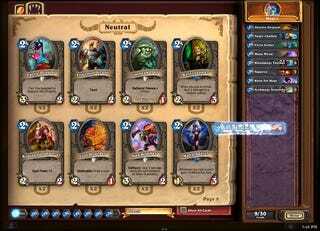 Humans who use bots are out of luck too; Blizzard announced today that they've just finished banning thousands of accounts that have been linked to automated bots in their digital card game. If you're hit, you'll be banned until some time in 2015. This is a rather big deal for the Hearthstone community, where botting has been a consistent problem for the past few months. Sorry, botters—if it's any consolation, at least this is a pretty lenient punishment.